Welcome to the water territories of ŠRD „ŠARAN“ ZAPREŠIĆ. Before starting fishing, we would like to introduce you to our club’s activities, territorial waters and special regulations. 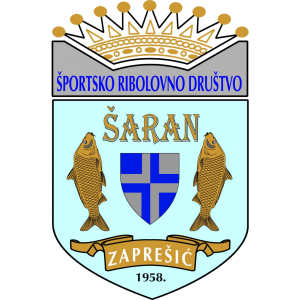 ŠRD „ŠARAN“ ZAPREŠIĆ was founded in 1958. Working hours for the ECO pond is from sunrise to sunset. Carp and Grass Carp of 5 kilos or over must be returned to water quickly and unharmed. If a fisherman determines that a carp or a Grass Carp is injured and will not stay alive, he must deliver it to the fishkeeper at the fishing lodge. ITS NOT ALLOWED TO : fish without a landing net, unhooking mat, scale and clinic (disinfection), and a keep net can only be used when white fish fishing. Each fishing positions at large lake is designed for two fisherman. ITS NOT ALLOWED to keep fish in a keep net. The caught fish, after weighing and photographing must be returned unharmed into the water as soon as possible. This applies to all water territories under ŠRD „ŠARAN“ ZAPREŠIĆ. When fishing for predators, use of live or dead baits is allowed only in closed waters on ŠRD „ŠARAN“ ZAPREŠIĆ territory. The fishing law allows three fishing rods, one hook per rod. IT IS STRONGLY FORBIDDEN fishing without a daily ticket on the big lake (Zajarki), and it cannot be purchased „on the water“. The daily ticket for the big lake MUST be purchased from the fishkeeper in the fishing lodge. IT IS FORBIDDEN TO mark a fishing place, building structures and canopies, using vessels or swimming to fish, feed or carry fishing equipment. IT IS STRONGLY FORBIDDEN TO mark fish by cutting off flippers. It is a duty of every fisherman to keep the fishing place clean and obeying all the regulations, and reporting all offenses to the fishkeeper. Not reporting offenses is subjected to sanctions. The protetcion of fishing fund, quality of water and cleanness of enviroment is a responsibily of all fisherman. Every fisherman has a duty of reporting any enviromental pollution to the fishkeeper as quickly as possible. All other regulations and restrictions are prescribed by the saltwater fishing law as well as the club’s statute. For breaking the saltwater fishing law, special restrictions and regulations from this bulletin and the club’s statute, members will be sanctioned by the disciplinary order of ŠRD „ŠARAN“ Zaprešić, and non-members will be reported to the Magistrates court. For additional information, suggestions, advice or misunderstandings which cannot be resolved, you can contact in written form the board of directors.